This peace sign sticker has a shiny chrome look to it with a black border. 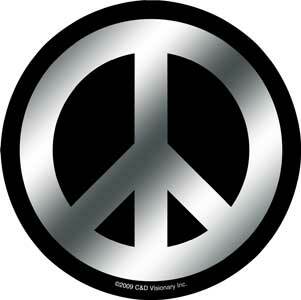 Put it on a car, cabinet, locker, or anywhere to express some peace. Approxamate size is 4" round.